Mattis, Lorica, AG-90 and Jo have been captured by the First Order! 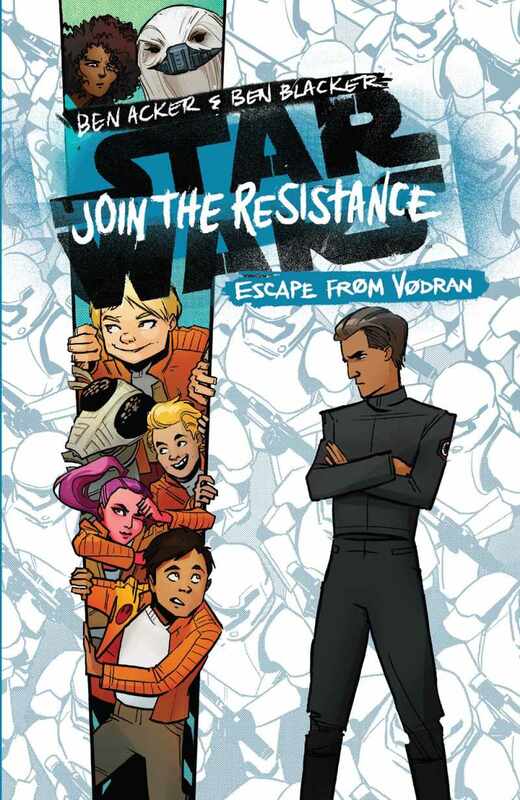 And things only go from bad to worse when Jo turns traitor on them as soon as they're in custody, and AG is taken away to be reprogrammed as a villainous First Order droid! Can the squabbling Mattis and Lorica work together to figure out a way to escape before they are interrogated or worse? Meanwhile, Dec and Sari seek out the help of the intimidating gangster Harra the Hutt to save their friends, but bargaining with a Hutt brings its own set of problems. The members of J Squadron will need quick planning and even quicker moves if any of them are going to survive!